To help create and sustain a supportive campus environment for student veterans, Azusa Pacific University offers interactive online training for APU faculty and staff through Kognito. In the Veterans on Campus online simulation, faculty, staff, and administrators engage in conversations with virtual student veterans, helping each to resolve challenges they face during the transition to campus life. For more information or to access the training module, contact the Office of Military and Veteran Services at (626) 815-4617 or mvs@apu.edu. The Office of Military and Veteran Services also offers VET NET Ally training for faculty and staff. The program was developed at CSU Long Beach and helps educate members of the university community, fosters a supportive campus atmosphere, and establishes a network of visible allies for veterans. 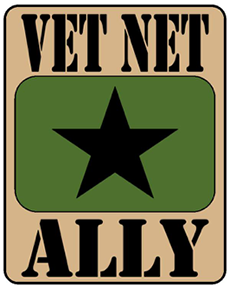 Individuals who complete the training at APU receive a VET NET Ally decal to display in their office, designating a safe zone for student veterans.